Quick Prints to be a simple, fast, easy, reliable and provide excellent value! Everyone’s preferred online store supplying a large variety of printed products to general consumers and business to business. Marketing through multiple channels to provide both informative and consumer specific information. Partner with world class suppliers to provide the quality and quick turnaround we require at a very competitive price. 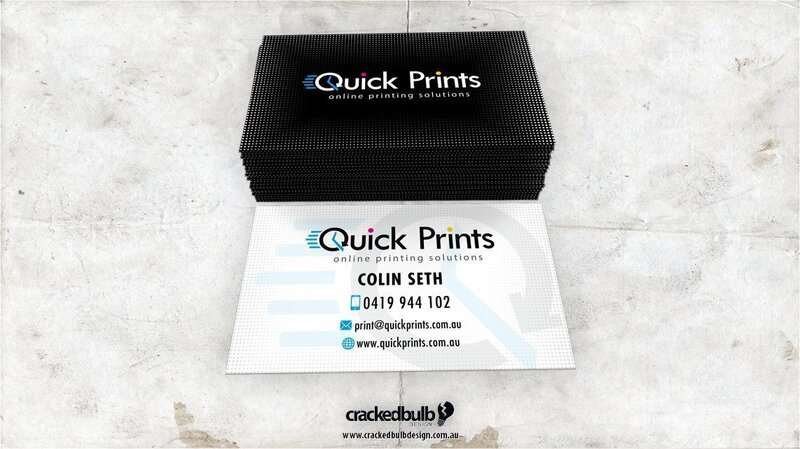 A big thanks to Quick Prints Online Printing Solutions for giving Cracked Bulb Design the opportunity to design their Business Cards. Having worked with a lot of designers , Ahmet delivered something that was beyond my expectations. For all your design and marketing requirement’s you will not be disappointed with his Professional and Modern approach. A very gifted designer thank you Ahmet for all your hard work for Quick Prints!